Why do it? These posts go into more detail on the story and our motivation to do the trip. “A short note to wish you well and see you off, as it were. One final piece of advice. Remember the old adage: “The best laid plans of mice and men…”. So it is not if things go wrong, but when things go wrong. It is at these times that our true mettle shows, and what we make of the mess that follows sets us apart from the crowd and often determines success or failure. As we assembled everything to check the gear and then packed it down to make sure it fitted in the car before leaving for the airport tomorrow, it was an inspiration to receive an email from Craig Hansen containing the sentence above. Craig and Jenny at PLK buggies in New Zealand are basically the third and fourth members of our team and it was good to get a reminder of why we’re setting off on this crazy adventure in the first place. So kite buggying is just about sitting back in your seat and cruising along eh? Not quite. 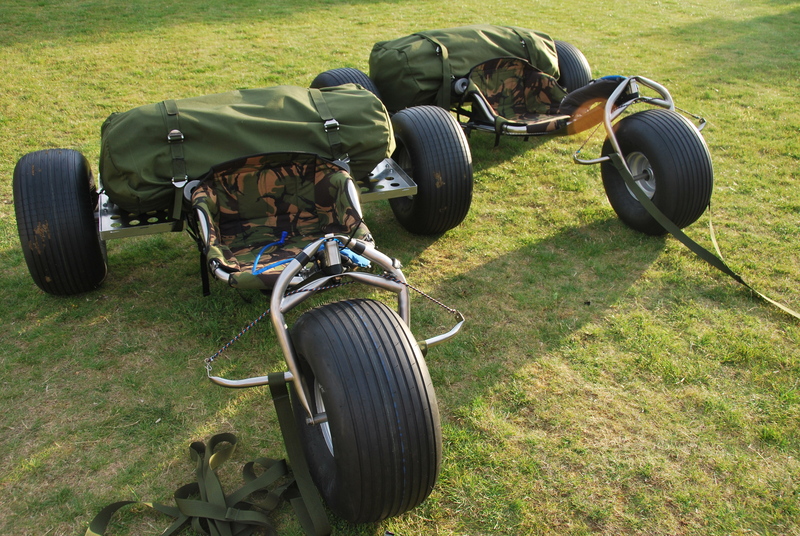 You’re in a heavy buggy with a month’s worth of gear strapped to it, and all the power to get you moving has to be channelled through your arms and legs to drive the buggy along. 1. There are few things that are really worth doing that don’t have some element of uncertainty. Speak to anyone that has success in any area whether there was any risk in what they did, and they’ll usually say yes. This trip won’t be easy, but that’s part of the reason we think it’s worth doing. Stepping outside the comfort zone, challenging each other and ourselves and inspiring other people to think outside the box and go for something different are big motivations. 2. Travelling 1000k by kite buggy is rare, and we want to use it as inspiration for people of the power of the wind. 3. We’ve got a home and family and the means to take a month off. But of course there are other people are age who don’t have this. So we decided to use the publicity from the trip to raise funds for CentrePoint, a homeless charity who house and support homeless young people. If you donate, you might get a free power kite lesson or even see us buggy in speedos…. 4. Because travelling along at 70kph a few inches above the ground carrying a month’s worth of possessions and simply using the power of a kite is pretty good fun! Although kite buggies in various forms have been around since the 13th century, it’s still relatively unknown as a sport and method of adventure travel. Expeditions like this will help bring more people to the fun of traction kiting. It was while we were researching this adventure that we noticed ‘Mad Way South’, an expedition even crazier than our own. ‘Do you know if anyone has kite buggied the Brazilian coastline before? ‘Have you ever even kite buggied before? 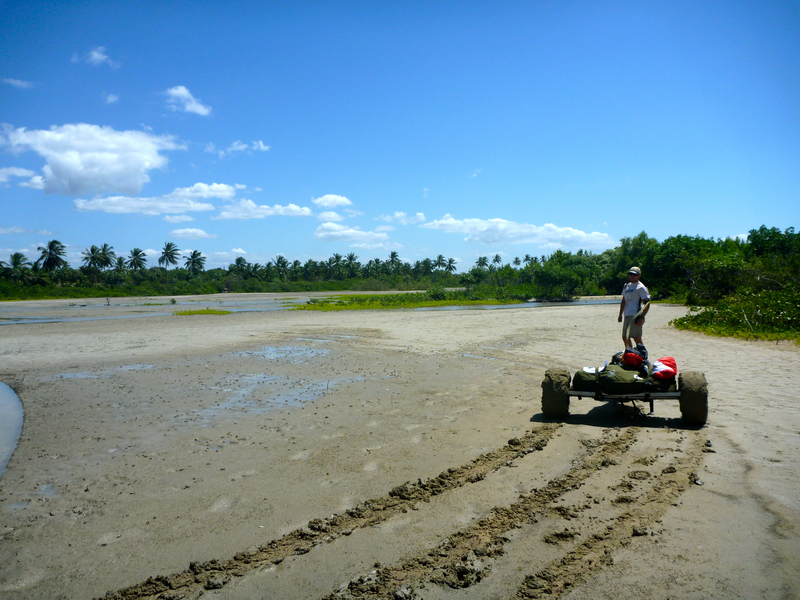 Dozens of emails later and Craig had told us about many of the lessons he had learned in the Sahara, and arranged to send two expedition ready Outlaw buggies to the UK from New Zealand. Without Craig’s generous advice and sponsorship, this trip would never be able to go ahead. Craig also put us in touch with Karen Critchley, a women’s buggy freestyle champion. We travelled down to Wallop, a big land kiting festival in Dorset, UK, to meet Karen who was competing there and talk to other kiters. Everyone was very friendly and seemed happy to talk to us two crazy novices with their idea to kite buggy 1000k in just two months time, and Karen commented that she thought it would be great for the sport. Once we’d seen the various options available at Wallop, we knew the best kites for us would be depower foils from Ozone. Craig put us in touch with Matt Taggart at Ozone who was immediately enthusiastic about the idea. Ed Texier from Oceansource, a travel agency specialising in kite and windsurf destinations in remote spots around the world, also got involved. We had previously met Ed when we used Oceansource to go on a windsurfing trip in El Tur, on the Sinai peninsular in Egypt, a few weeks after the Egyptian uprising in earlier this year. While he thought we were mad to be doing this sort of expedition with no prior experience or vehicle support, we were grateful that he still pledged his support! Ed put us in touch with Fabio from Club Ventos, a windsurfing club in Jericoacoara, who kindly offered us windsurf hire once we reached Jeri, provided we still had any energy left!